Rep. Kevin Cramer, R-N.D., and several representatives of agriculture groups are among those scheduled to testify before the U.S. Trade Representative's office at a public hearing today, Wednesday and Thursday on the Section 301 tariffs that the Trump administration has proposed on steel and aluminum imports. The proposed tariffs are part of the U.S. response to China's unfair trade practices related to technology transfer, intellectual property, and innovation based on the findings in USTR's investigation of China under Section 301 of the Trade Act of 1974. The ag leaders are worried that China and other countries will impose tariffs on U.S. agriculture products in retaliation. Cramer, who is challenging Sen. Heidi Heitkamp, D-N.D., for her seat, is under pressure to present his views on the tariffs. The hearing is to be held in Main Hearing Room and Courtroom of the U.S. International Trade Commission at 500 E Street S.W. in Washington. The hearing is on the record, but no cameras, video or audio recording will be allowed. USTR has made public the names of the people who will testify and who they represent. 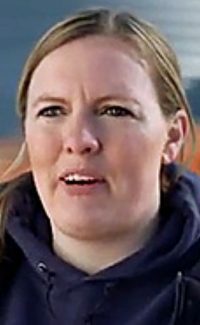 Farmers for Free Trade, a group supported by the American Farm Bureau Federation and other agricultural interests, said Monday that Michelle Erickson-Jones, who raises grains, oilseeds, alfalfa and calves in Broadview, Mont., will testify that the threatened 301 tariffs are already hurting American farmers and ranchers through decreased prices and new non-tariff barriers. According to a draft of her remarks released by Farmers for Free Trade, Erickson-Jones will testify, "While the Section 301 tariffs are not yet in effect, the U.S. farm community is already feeling the effects of threatened tariff action including depressed commodity prices, shipments held up at port, increased inspections and cancelled orders"
"This comes at a time when the industry that is already rife with uncertainty around re-negotiation of the North American Free Trade Agreement. Make no mistake about it, these market interruptions can devastate ag prices and drive U.S. farmers out of business. "Further complicating matters, China appears to also be increasing non-tariff barriers, like stepped-up inspections, creating costly and damaging delays for perishable commodities. "California winery LangeTwins has experienced this. It previously sold grapes in bulk but has vertically integrated its operation to bring more value back to the farm gate. In recent weeks, this family-owned business has had several wine shipments to China delayed at port or cancelled. Years of effort, negotiation, trust-building, investment and profit lost in an instant. "Meanwhile other industries such as beef and rice that have been working hard to gain market access to China now see their efforts set back while competitors from other countries take advantage of the uncertainty. "Currently farmers across America are in the field wondering whether the seeds they are planting will produce a profitable crop at harvest time in the fall," Erickson-Jones wrote. "On their behalf, Farmers for Free Trade urges the administration to take a thoughtful and long-term approach to resolving the Section 301 trade dispute with China. We further ask that the U.S. focus its attention on opening this important market to more high quality, safe and affordable food exported from America."